The Fed’s quantitative easing (QE), also known as large-scale asset purchases, inflated asset prices and bailed out baby boomers at the political cost of pricing out millennials from many asset markets, including homes and the stock market. That has since driven wealth inequality across the country to levels never seen before. When expansionary monetary policy drives asset prices higher than wage growth, the average person, or the entire bottom 90% of Americans, fall behind the curve. The continued increase in borrowings saw total credit storm above $4 trillion, and hitting a new all time high of $4.034 trillion on the back of a America’s ongoing love affair with auto and student loans, and of course credit cards. The number of outstanding U.S. $100 bills has doubled since the financial crisis, with more than 12 billion of them across the world, according to the latest data from the Federal Reserve. C-notes have passed $1 bills in circulation. Generally, economists believe the surge is related to people around the world wanting to hoard cash but, multiple factors could explain the increase in C-notes. When government-guaranteed checks keep rolling in, there’s no incentive for colleges and universities to lower their prices. In fact, they do the opposite. Debt held by Americans aged 19 to 29-years-old exceeded $1 trillion at the end of last year, according to Bloomberg, citing the New York Federal Reserve Consumer Credit Panel. Saudi Arabia and its Gulf allies in OPEC have proposed a formal alliance with a 10-nation group of petroleum producers led by Russia – an alliance that would “transform the cartel”. The debt crisis in the United States of America has reached apocalyptic proportions. A new and horrifying report out details the reason. Americans are increasingly reaching for the plastic in their wallets to cover what their paychecks won’t. The latest raft of spending data revealed, spending outpaced incomes once again in November, sending the savings rate lower, suggesting that this latest consumption binge was largely fueled by debt. Two months after the US Treasury reported the widest annual deficit in six years for fiscal 2018, moments ago the US posted the biggest November budget deficit on record as total government spending came in twice as much as revenue. After Ford successfully spun its latest “restructuring” as a jobs-neutral, union-endorsed shifting of employees from one factory to another, one analyst at Morgan Stanley is calling “bulls***”, writing in a report published Monday that the Detroit automaker could soon announce an even larger round of job cuts than rival GM. After months of rising prices at the pump, the American consumer is finally starting to feel some relief thanks to the drop in oil prices. Legacy brick-and-mortar retailers have found themselves falling behind this Thanksgiving season as the Black Friday “holiday” moves closer to becoming an online exclusive event. Digital spending is estimated to possibly exceed $6.4 billion on Friday, which would be higher than last year’s Cyber Monday totals. Suicide rates are rapidly expanding in almost every state, as it now becomes the 10th leading cause of death in the US and is one of three leading reasons that are on the rise. The CDC discovered that in recent years suicide rates were the highest among males in construction jobs and the highest for females working in arts, design, entertainment, sports, and media. Is the evisceration of the middle class over the last thirty years finally taking its toll? Consumers might not be able to save the economy which is expected to enter a slowdown in early 2019. Consumer credit cards and debt have recently hit all-time highs, during a period of rising interest rates which could create a squeeze, thus reducing their ability to buy things this upcoming holiday season. In coming years, interest payments on debt will increasingly pull money away from programs like Medicare and military spending. 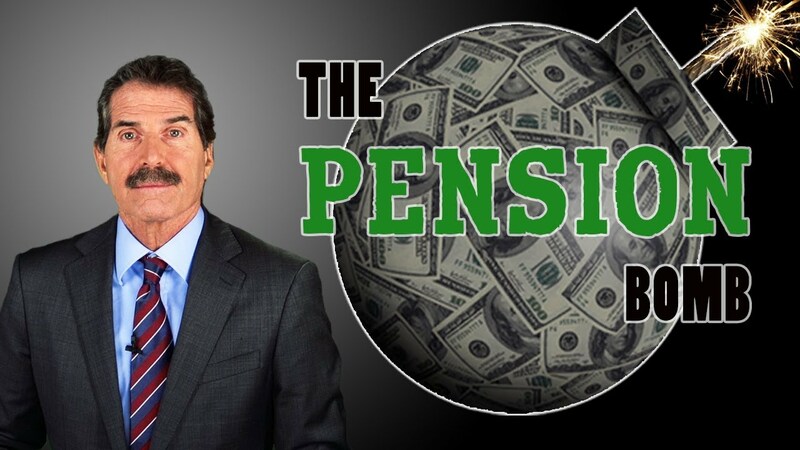 State and local governments face a $5 trillion dollar unfunded pension liability. In other words, politicians promised workers $5 trillion in retirement benefits, but government doesn’t have the money. A new FICO scoring system is about to roll out in 2019. The new score is going to be called the UltraFICO and is being designed to specifically boost the number of approvals for credit cards and loans just as consumer debt is about to reach an all-time high of $4 trillion by the end of 2018.